One of the big reasons that I have not been making stuff lately is that the carpal tunnel syndrome I have been battling for 10 years has finally gotten the best of me. I have not been able to sleep through the night in a couple of years due to waking up with my hand(s) in pain with a mixture of fire and intense pins and needles. My particular case expresses itself with lightning hot jabs of pain that periodically spark through my index and middle fingers, a sharp pain at the base of my hand, pins and needles that are on white-hot fire in the middle of the night, and painful numbness and tingling (at the same time; how does that even happen?) when I do any task that requires fine motor skills - like holding a needle or sculpting tools. 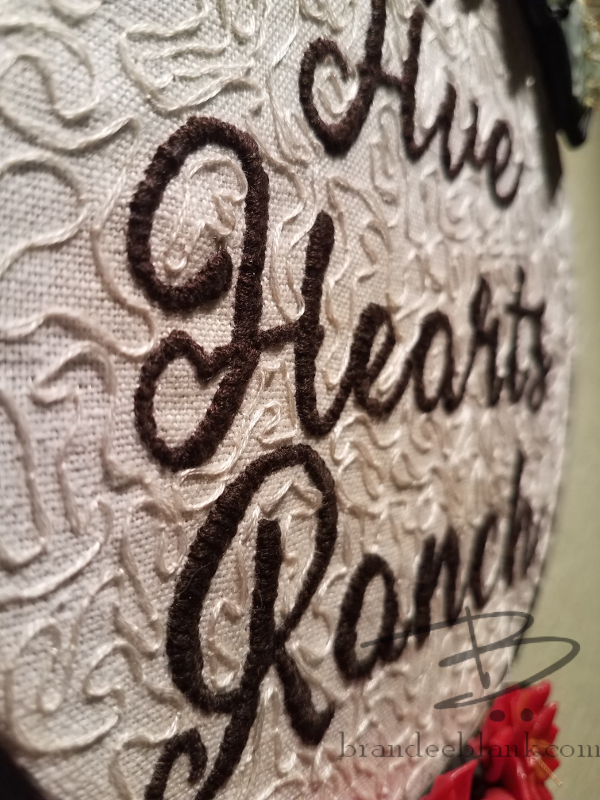 Working on embroidery has been such a fight: I take a couple of stitches, then have to lower my hand to fight off the painful tingles that flood my entire hand, couple more stitches... you get the picture. When working in polymer, it gets bad when I am holding the tools and when I have to knead it for malleability. I think the pain and frustration has just made me feel an overall blah that does not lead to any sort of creativity. I always get sad when my creativity bug flies out the window, and this time it has been gone for nearly 4 months, but it has always come back. Tomorrow I have surgery on my right hand. For now, I am leaving the left alone but have been advised I would likely need surgery on that one eventually as well. I am so excited to be able to use my hands again, but more importantly, to be able to get a full nights sleep. I can't remember the last time I had one. Fingers crossed that the bug comes back. I actually do have a notebook half-filled with ideas and two half-finished projects on my work table that I started last weekend before I lost my oomph. But, on that note, I did finally finish the project I was working on that I mentioned in my last post. This took forever... because of the hand pain of course. This was a house-warming/Christmas gift for my brother and his family who recently moved into a gorgeous piece of property down in the hills of Ojai. 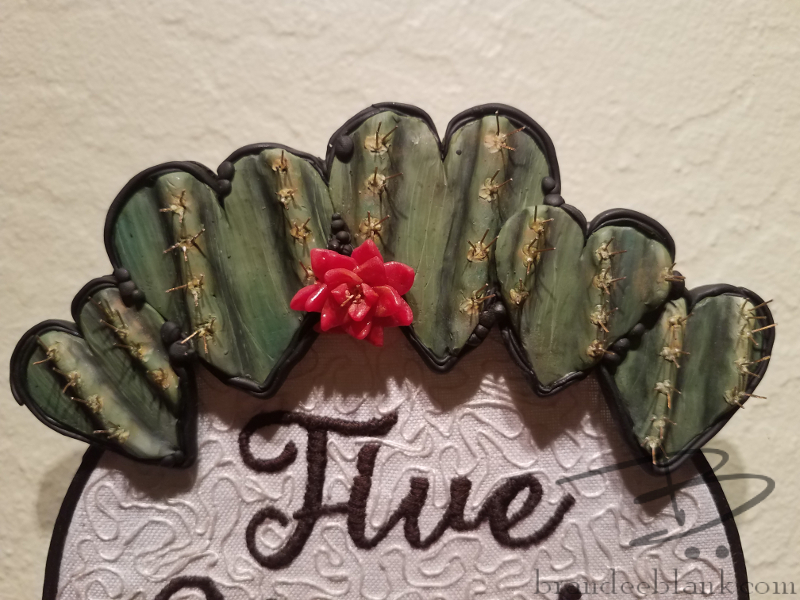 There is a cactus on the land that must be over 100 years old judging from the size, which is what inspired the design of the polymer clay frame. 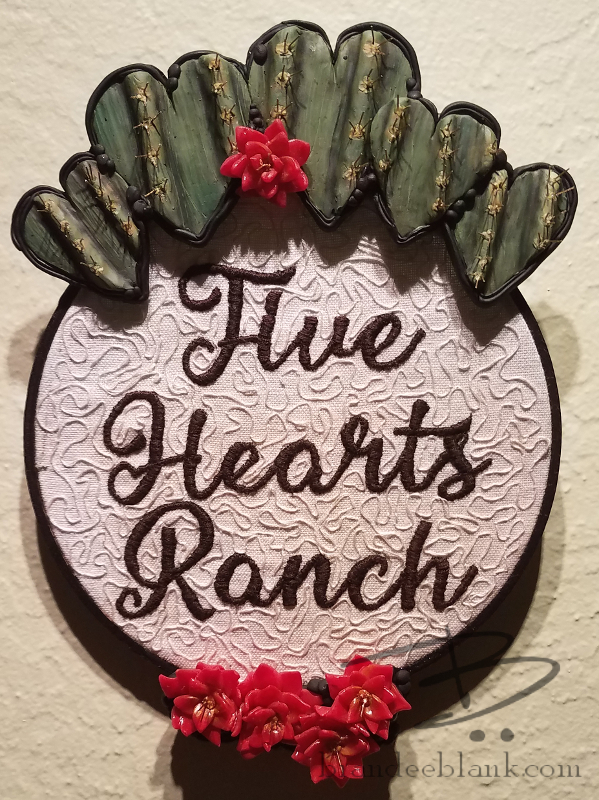 My sis-in-law loves hearts, and they have dubbed their new home Five Hearts Ranch, one for each of them and their 3 children. Crossing fingers that all goes well tomorrow!